When house duo Basement Jaxx linked arms with Lisa Kekaula of the BellRays to produce the track “Good Luck,” which charted at number 2 on the U.S. dance charts in 2003, they introduced the mainstream nation to Kekaula’s brilliant, soulful voice. And now, with their release of Hard, Sweet and Sticky, the world can hear more from the lead singer who captivates audiences with her stage presence, and the gritty punk rock kicking it behind her. 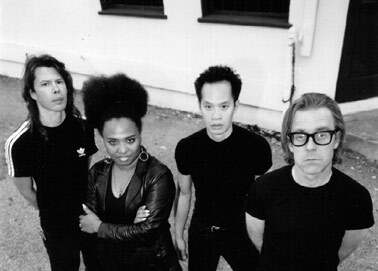 The Bellrays have been around a long time, since the 90s, and haven’t sold out to anyone yet. They say they pride themselves on their independence, and their music indeed reflects that. It’s an original concoction of punk, blues and Motown-esque soul that makes you long for its Detroit heyday.